(1) By Pastor Jeramel Enerio (adopted minister)……We did groundwork for the crusade given by Pastor Edwin Gulfan, the executive secretary of South Philippine Union Conference. Seventy nine precious souls were baptized last September 21. Including the earlier baptisms, the total result is 103 precious souls. I continue to pray for the people to understand the truth and change their lifestyle. Our Bible study is still going on. (2) By Pastor Regie Mahinay (adopted minister)…. 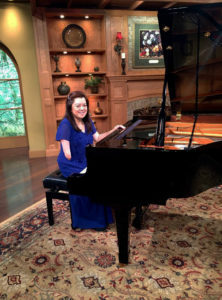 God is so good to me and I am really blessed through dedicated people of God who support His work. Presently, I am working in Tagum City in Davao Philippines. By God’s grace since March until August 2013, my work here in Tagum City is a fruitful one. By the guidance of the Holy Spirit, God’s servant was able to lead 40 precious souls to the feet of Jesus through baptism. My prayer is that through your continued support and generosity our ministry will continue to bear fruits for God’s kingdom. (3) By Darlene Sabandal (AMI coordinator in DM)….In Sawata, San Isidro Compostela Valley, I documented the baptism of 59 precious souls who accepted Jesus Christ as their personal Savior during a crusade by Pastor Jerry Patalinghug and assisted by 4 adopted ministers: Maata, Leonado, Leonado and Moreno. One of those baptized is a police officer (PO1 Rey Questas), a devout Catholic from a well-known family. Praise God for the success of the crusad. There are still more crusades going on and the adopted ministers are busy doing groundwork this time. (4) By Pastor Jonathan Hikilian (adopted minister)….Currently I am assigned in Buhangin District, Davao City under the supervision of Pastor Jose. Praise God for His eternal support in this ministry. Last August 31 there were 21 precious souls who were baptized in the Mahayag Crusade. Also, last September 7, there were 13 souls baptized in Isla Suerte Crusade. Please help us pray that the newly baptized will stay faithful and strong until the second coming of Christ. (5) By Pastor Harold Baslot (adopted minister)….I am happy to report that we baptized 20 souls for Jesus in Tangub Central SDA Church during our revival and reformation last August 24. 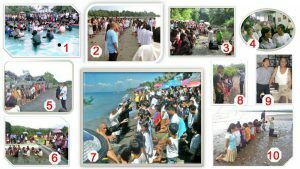 Last September 7, we baptized 82 souls through the help of Pastor Paquibo of South Philippine Union Conference, MINDANAO. (6) By Pastor Onlee Intia (adopted minister)….Fifty seven (57) precious souls were baptized in Salvador Benedicto District last September 28. Fifteen adopted ministers were deployed in 3 different venues assisting 3 evangelistic meetings. Laga-an, Calatrava was the farthest place with a bumpy road but adopted ministers: Francisco, Tanjusay and Billinario responded to the call. Sitio Igmaya-an, Salvador Benedicto – the summer capital of Negros was the second venue with Adopt Director Onlee Entia and Pastor Orquesta as the main speakers assisted by adopted ministers: Garcia as the group leader, Saylon, Hermusada, Dy, Razul , Fabores and Delaper. An Adventist sister sought the help of the group when one of her boarders displayed an unusual behavior claiming that 3 evil spirits wanted to take and oppress her. The group prayed earnestly pleading with God to cast the demons, sang gospel songs and read passages from the Bible and the woman attained gradual peace in Jesus. She was baptized together with her 14 boardmates who witnessed the power of the precious name of Jesus. Fabores will remain there for a month to nurture the newly-baptized members of the church and continue to give Bible studies. God-willing, there will be another set of baptism by the end of the month. The third evangelistic meeting was held in Sitio Bunga, a progressive barangay of Salvador Benedicto. Adopted ministers: Boletin, Nombre, Jereos, Malicay and Limco were assigned there. They facilitated the wedding of three couples, who for many years had stayed together without the benefit of marriage, and praise God, those couples with their children, were baptized. (7) By Pastor Raulen Jereos (adopted minister)…. The adopted ministers here in NOC held our spiritual retreat in Sawang Beach, Cauyan, Negros Occidental. It was a one week long retreat and the NOC Directors were our lecturer. I love the new program of Pastor Orquesta. An Adventist member has to invite a non-Adventist member. (8) By Pastor Peter Sinagpulo (adopted minister)….Last September 21, a baptism was conducted by Pr. Elmer Dulang, ZPM Youth Director. Nine (9) precious souls decided to accept Jesus Christ as their personal savior through baptism. (9) By Pastor Noel Omega (adopted minister)….My friend asked me to visit Tatay Hermo who asked for Bible study in his home. When I met Tatay, we made friends right away and talked about life experiences. Tatay Hermo was a backslider. He told me everything that happened to his life. He was an active member of the church when he was young. He went to Cagayan to continue his study. He made so many friends and their influence made him part away from the Lord. He joined a gang, did activities like gambling, and became a drug user. From that time on, he forgot to go to church and also forgot to pray. Thirty years of backsliding and never thinking about spiritual things, he became a drunkard and a gambler. Last year God touched him and reminded him of his mistakes. He survived a stroke; his family thought that it was the end of his life, but the situation changed. While bedridden, he remembered Christ who died for his sins. He made a promise as he pleaded with God to help him and give him a chance to change his life for good. God answered his prayer. The time that he thought was the end of his life was actually a start of his new life in Christ. When he recovered, he immediately asked someone to give him Bible study. Not only him, but his whole family. I conducted Bible study in his home twice a week. His wife, daughters-in-law, nephews, sisters and even boarders listened to God’s word. Jesus is very happy to see this family accept Him. (10) By Pastor Juneryl Reble (adopted minister)…. Praise God for His abundant grace and love for us! In the past few months, I am assigned in a church in Pandacan where I gave a week crusade and medical mission. It was very successful and fruitful. Sixteen (16) souls were baptized and some are still in the valley of decision. So we continue to visit and give them Bible study. We know that only the Holy spirit can convict them. Note: These are just a few reports that I had received in the month of September.